Back to the Future Wheel color change ? 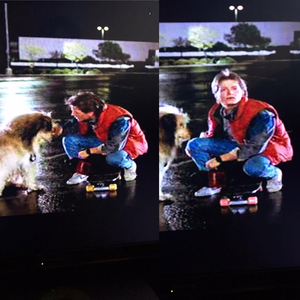 When Marty is at the back of the trailer with Einstein and waiting for Doc to roll out the De Lorean, the skateboard wheels change color from yellow ro pink. Any idea why ?